Dust allergies are the most common types of allergies. Dust allergies, also known as house dust, are tiny particles of just about everything. A single piece of dust can contain flakes of dead skin from humans, human hair, animal dander, mold spores, parts of fabric or lint, bits of food, powder from detergent and tiny microscopic spider-like critters called dust mites. According to the National Institute of Health, a scoop of dust weighing as little as a paper clip contains as many as 19,000 dust mites. 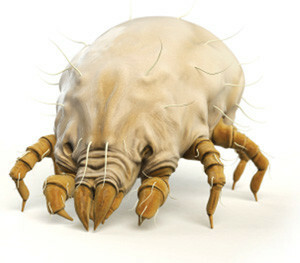 Dust mites are the main cause of dust allergies inside the home. 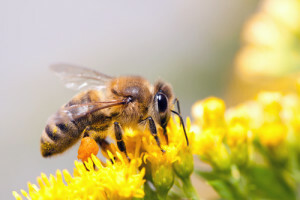 According to WebMed, 20 million Americans are allergic to the little bugs. Dust mites are mostly found in the bedroom in bedding, mattresses and box springs. They thrive in temperatures of 70 degrees Fahrenheit and higher and humidity of 75 to 80 percent. The good news is that most of them will die when the humidity falls below 40 to 50 percent and during cold weather. Pets and pet fur are not the reason people have pet allergies. It is the small scale of skin called dander that the pet sheds that causes the allergic reactions. Mold spores are usually air-born in damp areas of the house, such as bathrooms, basements and laundry rooms. However, mold spores can settle in fabrics, rugs, stuffed animals, books or wallpaper that are in a damp place. The symptoms of dust allergies are similar to the symptoms of pollen allergies which are red, itchy, watery eyes, runny, itchy, stuffy nose, sneezing. Other symptoms of dust allergies may include symptoms similar to asthma symptoms. These symptoms include coughing, shortness of breath, wheezing. Dust allergy symptoms can be controlled. An antihistamine can help relieve itching, sneezing and watery eye relief. A decongestant can help relieve nasal congestion. Both can be found as over-the-counter medications. Severe symptoms may require a prescription medication, which can be prescribed by a physician. A nasal steroid spray, which is also prescribed by a physician, is an anti-inflammatory medicine that stops allergic reaction. Clean floors and surfaces often with a damp mop or cloth. Avoid having a room with only a concrete floor, such as a basement. Dust mites and mold spoors crave the moist, humid environment from a concrete floor. Rather carpet, use vinyl, linoleum or wood for flooring throughout the home. If there is carpet, vacuum once or twice a week. Use a vacuum with a HEPA filter. Carpet traps dust and is a haven for dust allergens. If possible, choose furniture made of wood, leather, metal or plaster. Replace the fabric couch with a leather couch. Leather is much easier to keep clean. Remove stuffed animals, soft toys and other dust collectors for the home. Make sure the humidity inside your home is below 55%. You will need a hygrometer to measures the moisture in the air. Hardware and building suppliers usually have this device. Use a plastic encasing for the mattress, pillows and box spring. Wash bed linen in very hot water every week (at least 130 degrees), or take it to a laundry mat. Dust mites cannot survive water this hot. Remove drapes and use window shades. Use a high efficiency particulate air (HEPA) filter with a MERV rating of 11 or 12 in your heating and air-conditioning unit. Change the filter every three months.